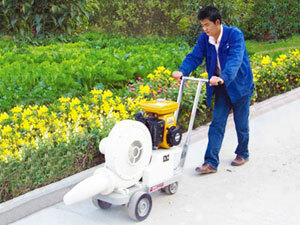 Wind-force Road Cleaner,Wind Force Road Cleaner,Wind-force Road Cleaner for sale. DY-WRC wind-force road cleaner is used to completely clean remaining sandstones and dust before marking road lines,to ensure the road marking construction quality. The road construction quality will be greatly declined if the remaining sandstones and dust are not completely cleaned before the road marking construction or other road surface construction. The traditional cleaning methods need more manpower and have disadvantages of poor cleaning effect, high cost and low efficiency of the construction. The successful development of DY-WRC wind-force road cleaner has completely solved the above problems. 1. Japanese Robin or Honda four-stroke air-cooled gasoline engine. 2. One time die casting aluminum alloy fan blade, with 2800 r/min rotate speed. 3. 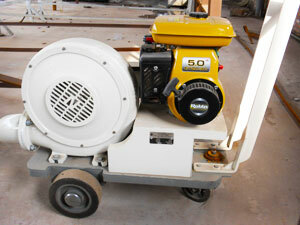 Wind force 3200Pa, air output 2334m3/h. 4. The gyrate outer shell of air pot is made of aluminum alloy by refined casting, light weight, having good pressure resistance and good wind collection. 5. High strength welded chassis frame; the front wheels and two-row rear wheels are the special modified rubber wheels with high abrasion resistance.